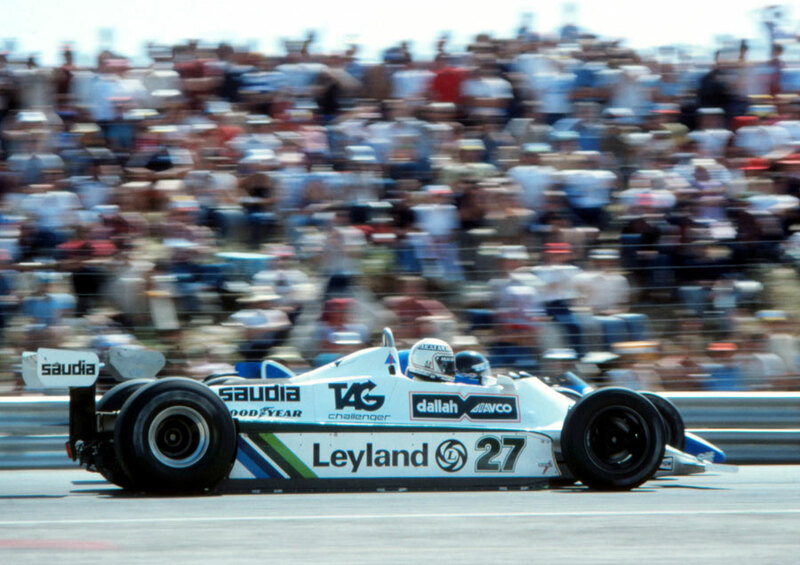 Three weeks after his win-that-never-was at the Spanish Grand Prix was subsequently declared illegal by the FIA, there was no disputing Alan Jones' victory at the French Grand Prix. For two days after Jarama he led the world championship by six points, only to drop back to second after the FIA's intervention. This time his four-point lead was safe. The grid had looked promising for the local fans with the top three positions being held by Jacques Laffite in the Ligier, Rene Arnoux in the Renault and Didier Pironi in the second Ligier. A further four drivers in the top ten were French too, generating a huge amount of excitement ahead of the race. Laffite took off at an alarming rate at the start, leaving Pironi, Arnoux and Jones to scrap it out for second. Jones picked off Arnoux first and a couple of laps later he was past Pironi, but by that time Laffite had a good eight-second lead. However, the Ligier's early pace had taken its toll on the tyres and it wasn't long before Jones started closing in on the home favourite. Then, on lap 35, Jones breezed past and immediately built up a lead over Laffite, who eventually conceded another position to Pironi to finish third. Jones made clear he was not prepared to forgive FISA boss Jean-Marie Balestre for his role in getting the Spanish GP voided. "I told the French officials that if Balestre had been there I would have refused to accept the trophy," he said. "I'm more than satisfied … this shows I shouldn't have been stripped of those points in Spain."